I have had this bottle open at home since before the summer and it has really grown and grown on me since I opened it about six weeks ago. 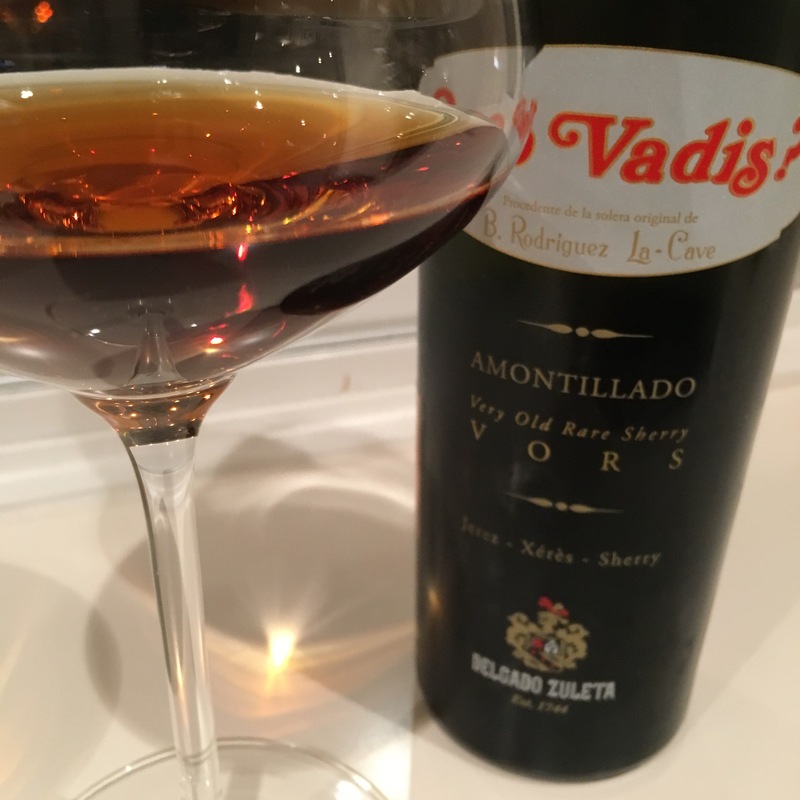 It is a very fine old wine – more than 40 years old – and almost the epitome of what a Sanlucar amontillado is all about. It has a very dry, very stark profile, with only the bare minimum of nuts and caramel, a very saline, savoury flavour and really sharp zinginess. It is also an interesting contrast to the NPU amontillado from Jerez that I tried this week. That seemed to me to be typical of a Jerez amontillado and was very rich by comparison – really pronounced hazelnut on the nose and a sensation of sweet juiciness to it. The differences are revealing and to a certain extent mysterious: while it is easy to see why a veil of flor would develop differently in one or the other location, it is less obvious to me why the oxidatively aged wines are so different. The fruit used in each case may even be the same (there is no obligation to use mosto from Sanlucar in Sanlucar or mosto from Jerez in Jerez) and although the amontillados may of course differ due to the biological ageing in practice these days many finos have characteristics that are very similar to manzanillas. Evidently there is a slight difference in terms of climate and it may well be that there are big differences in the techniques used in the cellar – it is something I would like to learn more about. For the time being, all I can say is that they are different and recommend anyone seeking to learn about these wines to compare and contrast. In fact I would go further: all preferences aside to really understand the wines of the region I think you need to have a handle on both styles.